As we’re both fans of her art, we thought it would be fun to talk with Heather Sleightholm, the artist behind Audrey Eclectic Folk Art. In our conversation we talk about how Heather finds inspiration for her original work, her love of literature, New England, and Scandinavia, how she finds time as a mom to pursue her art, how she feels about running a business, how religious art is created, as well as her own faith and family. It was a wonderful chat and so interesting to learn about the artist behind the art – we hope you enjoy it! The Lace Reader and author Brunonia Barry. 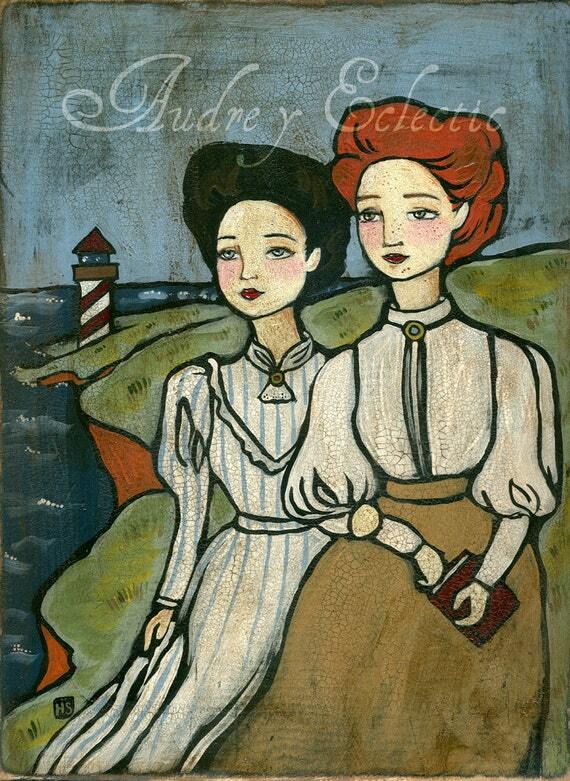 To purchase Heather’s work please visit her Etsy shop, Audrey Eclectic Folk Art. She also blogs about art, faith, and her many interests, (as well as her beautiful home), at Audrey Eclectic. We are chatting motherhood and finding your parenting style today with Kathy Helgemo, author, blogger, wife, mom, and Catholic convert. 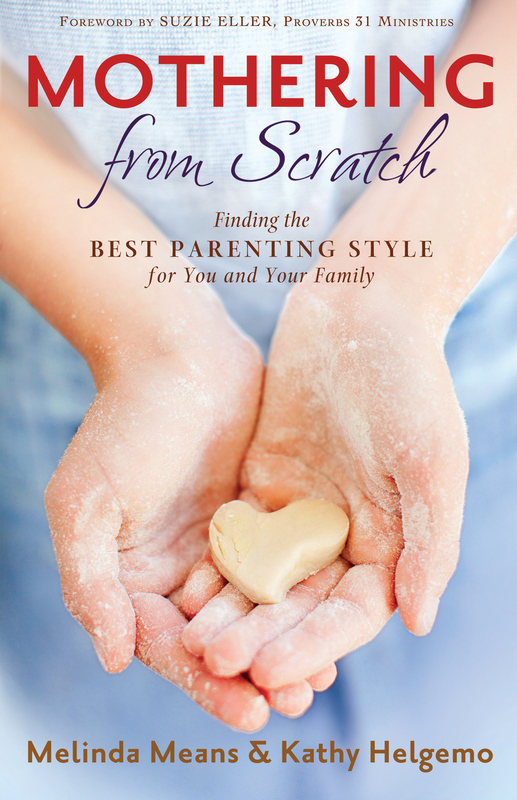 We loved Kathy’s book she co-authored with Melinda Means: Mothering from Scratch: Finding the Best Parenting Style for You and Your Family and asked her to share all about how she was inspired to write the book. She has so much wisdom to share, including the one thing you will never regret doing as a mother. In this episode we discuss how as moms we expect to be able to do it all (but can’t) and how to ask for help and find mentors to encourage us in our vocation as mothers. Moms Together is the Facebook mentoring community started by Kathy and her writing partner Melinda. We’re talking all things Lent today with our good friend Bonnie Engstrom, blogger at A Knotted Life. We talk about how we approach lent in general, simple ways to help our young kids learn about Lent, how to focus a bit more on prayer as a family, as well as fitting in confession when the kids should be in bed. We cover a lot of ground while laughing a lot so we think this will help ease any Lent-stress you may be feeling as Ash Wednesday looms around the corner. This episode is brought to you by Holy Heroes. And be sure to check out the fantastic Lent resources from this episode’s sponsor: Holy Heroes! You can find CDs, children’s books, coloring books, and the free Lenten Adventure and free Mass Prep at www.holyheroesfun.com. And to get 10% off your purchase, just type in podcast10 into the coupon box at checkout to get your discount! In this episode we talk with Jenna Guizar, the founder of the scripture devotional site for Catholic women: Blessed Is She. We talk about how she felt called to begin this online ministry, how she took a step out in faith while joining together with other women, her journey through blogging, living a missionary life, and how she balances her work, home, and ministry. If you haven’t already checked out Blessed is She head on over and sign up for the daily emails of scripture and devotions. You’ll love having this beautiful gift of scripture in your inbox! You can also join the regional groups to get connected with other Catholic women. Blessed Is She is also on Facebook, Instagram (with the hashtag #projectblessed), and Twitter. 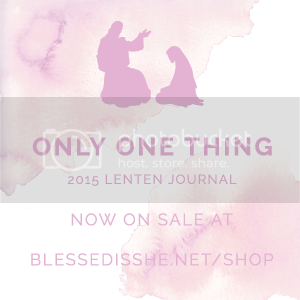 Only One Thing, the 2015 Lenten Journal is for sale now and you can order for delivery before Ash Wednesday! We also mentioned Tsh’s recent podcast with The Blog Maven, you can find that podcast here.